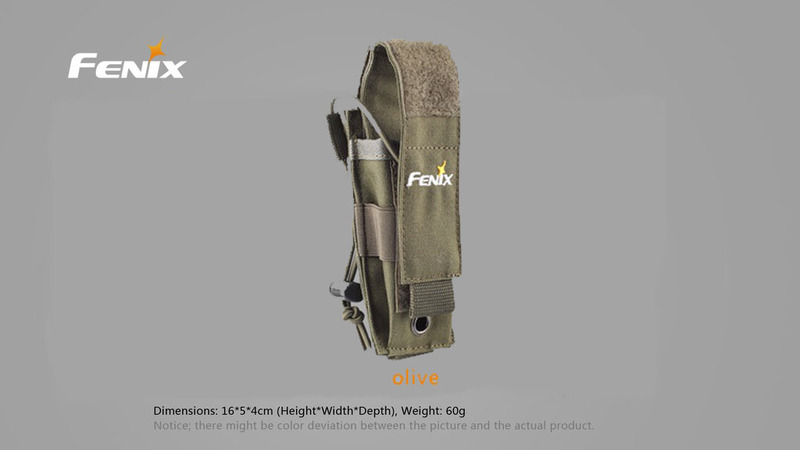 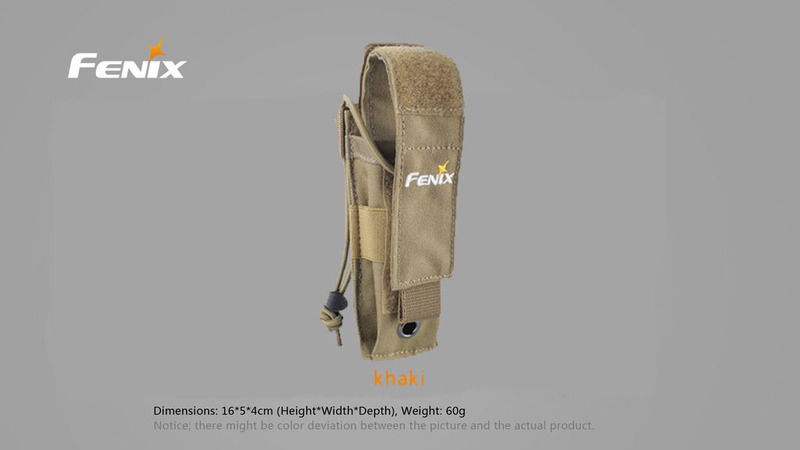 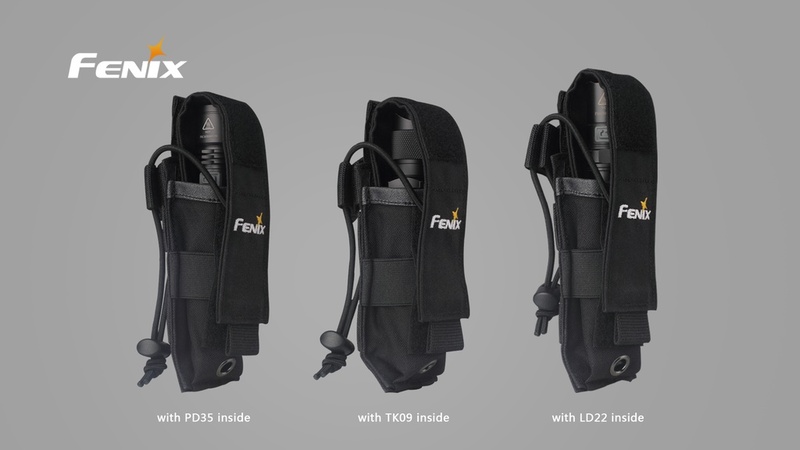 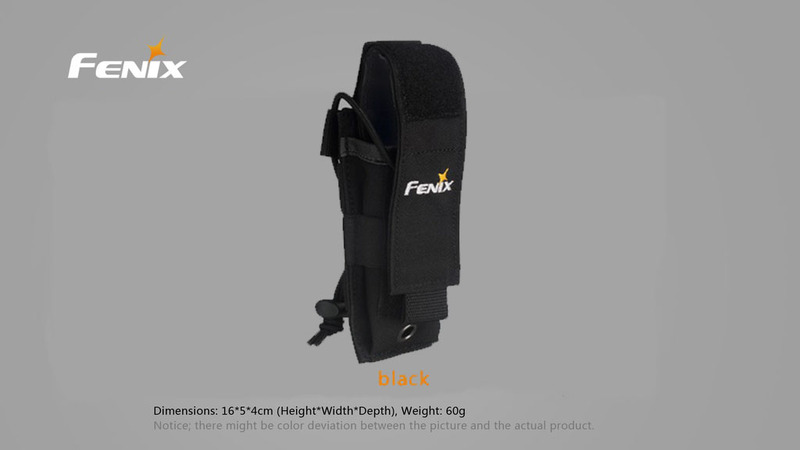 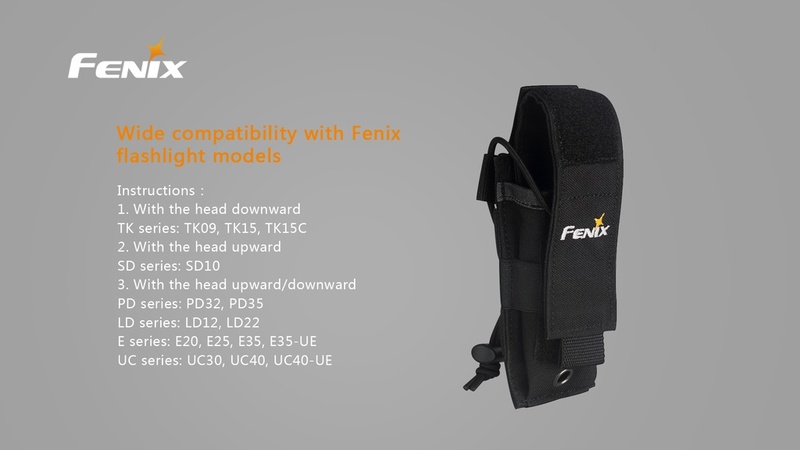 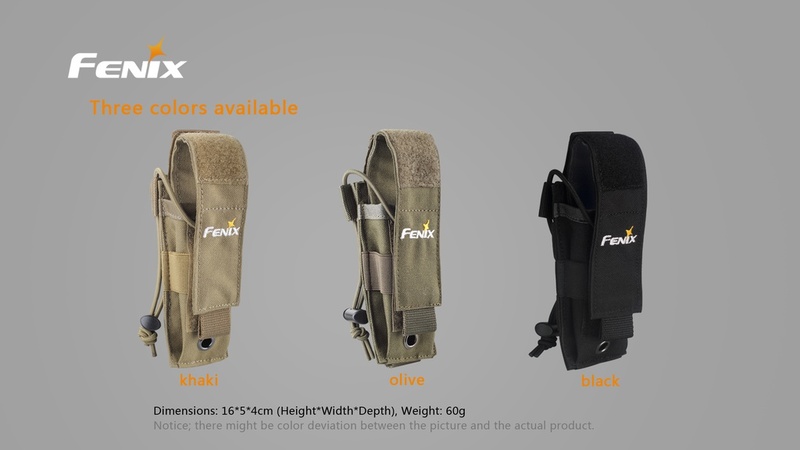 New Fenix Cordura holster for flashlights, knives, multi-tools, etc. 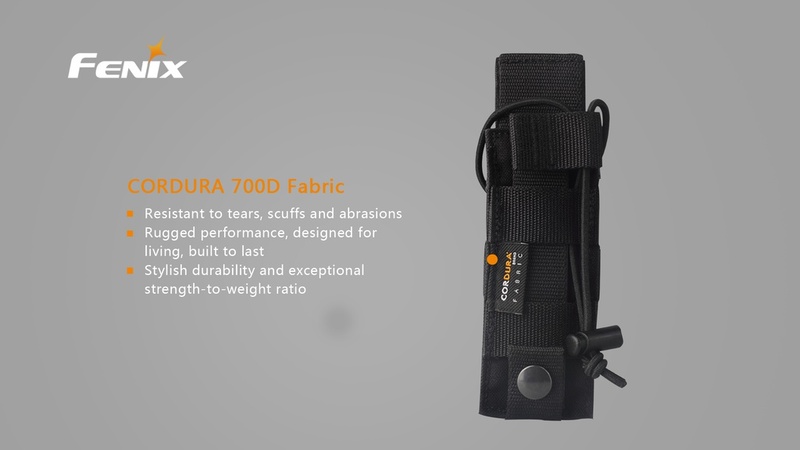 The durability and flexibility is everything you would want to carry your EDC gear. 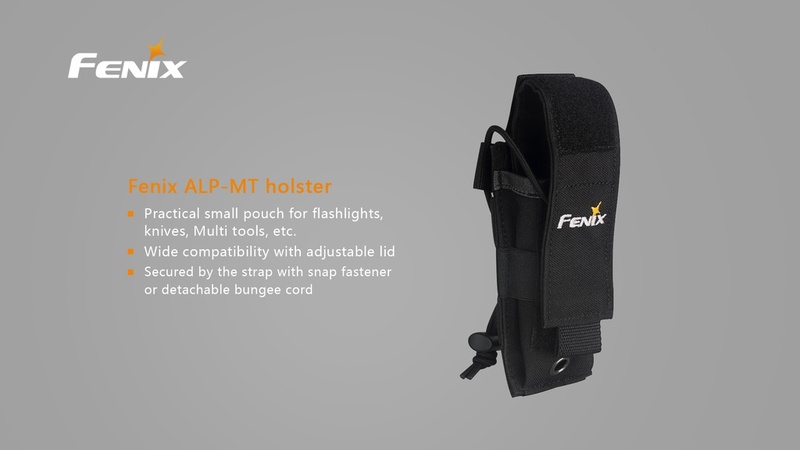 You can count on the holster to be compatible with a variety of tools and flashlights. 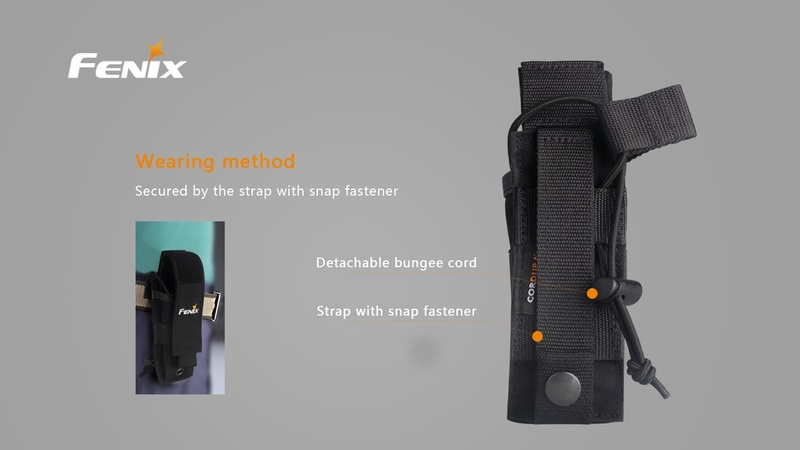 Your EDC gear is secured by the strap and snap fastener or by the detachable bungee cord. 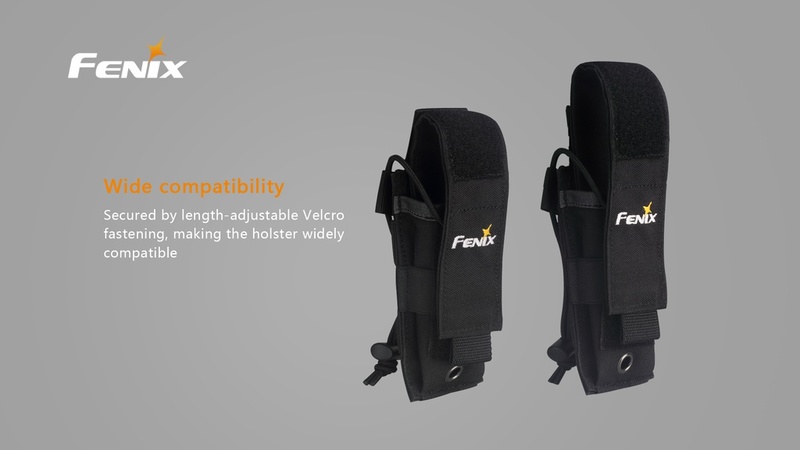 Replace the holster that came with your light to the next step up to security and durability.